At the European Parliament in Strasbourg MEPs voted yesterday, 11th March 2014 and accepted the deal with member states on minimum common standards for periodic vehicle inspections, vehicle registration documents and roadside inspections of commercial vehicles. 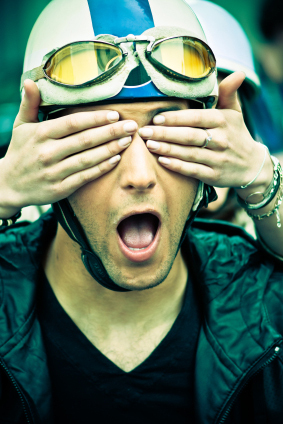 The announcement in 2012 of a proposal change to the present European Directive included the introduction of extending mandatory periodical testing for Powered Two Wheelers. 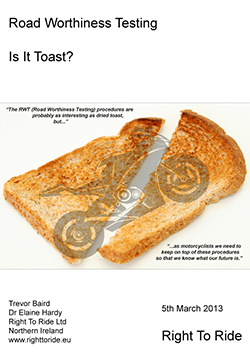 After final negotiations in December 2013, with the European Parliament and the European Council on the Road Worthiness Test (RWT) Package, the Lithuanian Presidency of The Council announced that heavy motorcycles would be subject to periodic roadworthiness tests from 2022. “Exclude these vehicles from testing if they have put in place alternative effective road safety measures, taking into account in particular road safety statistics of the 5 years. 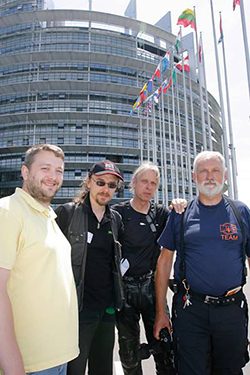 For light motorcycles – within five years the Commission will submit to the European Parliament and the Council a report on the effectiveness of their possible inclusion in the scope of the directive. The proposed Regulation is now a Directive, hence the flexibility of the derogations regarding motorcycles. 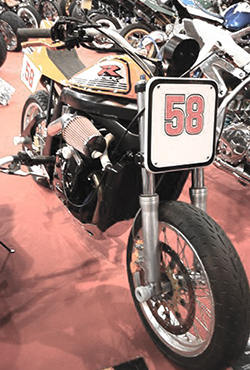 With this “final compromise” text agreed the final vote is down to the elected body of MEPs at the European Parliament – but remember the European Committee of MEPs (Tran Committee) deleted motorcycles from the proposal, however when presented to the body of MEPs at the European Parliament they voted motorcycles back into their amendments to the proposal. However this an agreed position by all parties concerned and should make it through the Parliament. 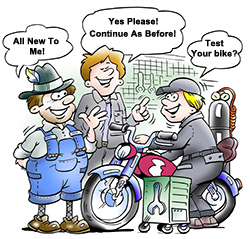 For the UK with our own RWT through our MoT it looks like there is no major change or shake up to our system of testing. As we have said all along our view is simply that, different countries with different situations require a different solution and that this must always be a national decision based on the needs and requirements of each country and their citizens. So no matter who wrote a letter whether as an individual or part of a riders organisation, lobbed their MEP, their Government, the European Commission, signed a petition, went to the European Parliament or rode in demonstrations – every little action helped! You can view all our news and reports on RWT from September 2010. View all our releases on RWT – Click Here. 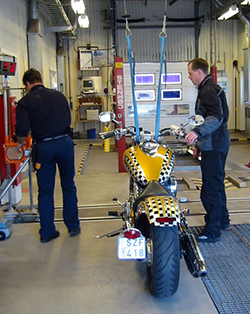 December 2013 – After final negotiations with the European Parliament and the European Council on the Road Worthiness Test (RWT) Package, the Lithuanian Presidency of The Council announced that heavy motorcycles would be subject to periodic roadworthiness tests from 2022. However member states could exclude heavy motorcycles from testing if they have put in place alternative effective road safety measures, taking into account in particular road safety statistics of the 5 years. 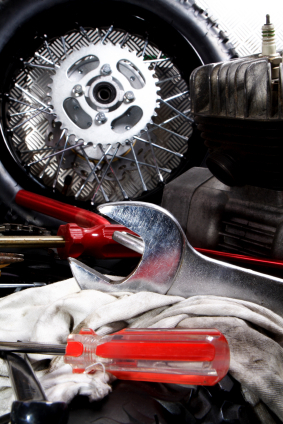 If heavy motorcycles are included in the scope of periodic roadworthiness testing, specific testing methods, inspection areas and frequency are decided at the Member State level. 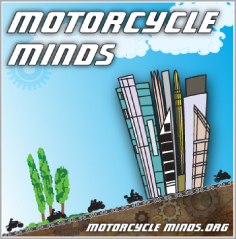 Heavy motorcycles in this context are (L-vehicles with an engine displacement of more than 125 cm3). 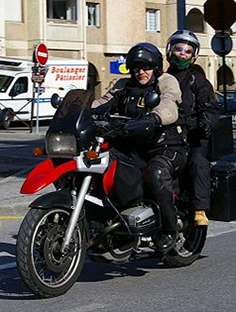 For light motorcycles – within five years the Commission will submit to the European Parliament and the Council a report on the effectiveness of their possible inclusion in the scope of the directive. March 2014 – At the European Parliament in Strasbourg MEPs voted on 11th March 2014 and accepted the deal with member states on minimum common standards for periodic vehicle inspections, vehicle registration documents and roadside inspections of commercial vehicles. Periodic roadworthiness tests for motor vehicles and their trailers. Environment, Public Health and Food Safety “ENVI) – The committee decided not to give an opinion. 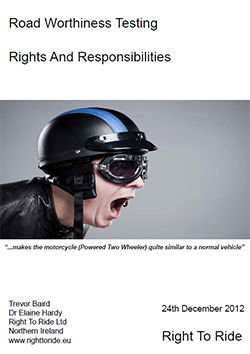 A page published on the Library of the European Parliaments website which gives detailed information on the “Roadworthiness Package”. From links to the European Commissions presentation of the three legislative proposals contained in the Roadworthiness Package to overviews, analysis, Stake holder views, NGO views, Producers views, Statistics and EU Programmes and projects. These documents look at the European Commissions Impact Assessment which was was launched at the beginning of 2010. An Impact Assessment Steering Group (IASG) was set-up in July 2010, there was a public consultation and the experts have met. The proposal includes the inclusion of powered-two wheelers in vehicle inspections.